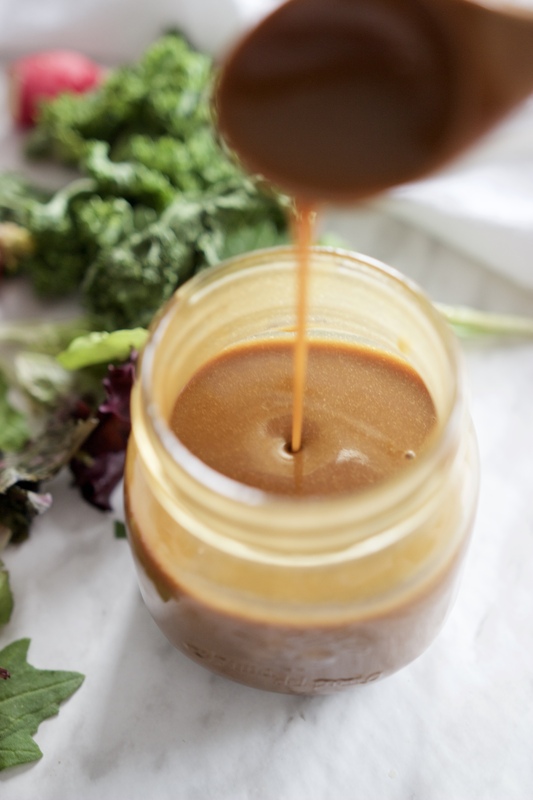 Everyone needs to know how to make a good balsamic dressing! 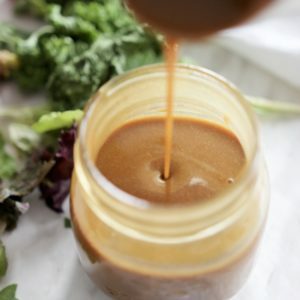 This 3-Ingredient Balsamic Dijon Vinaigrette is beyond easy to make and adds loads of flavour to any salad. Try it as a marinade! 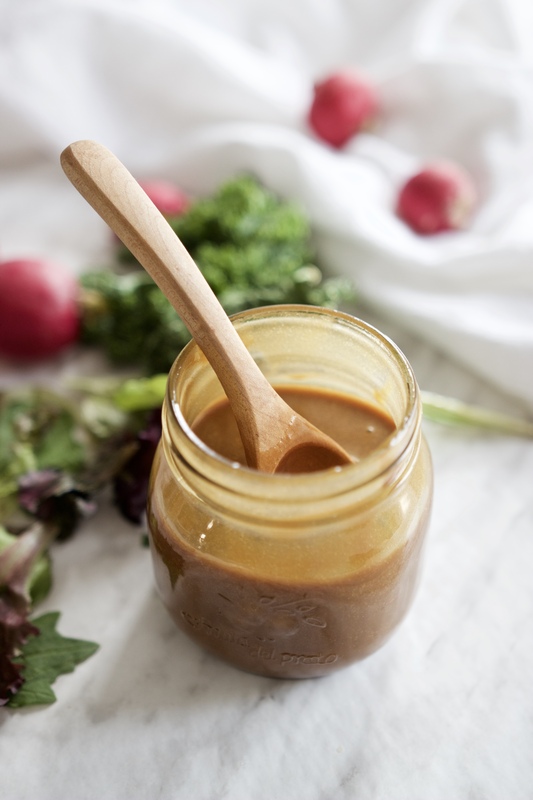 Balsamic vinaigrette is a classic for salads. Who doesn’t love it?! (I mean, if you don’t, I guess that’s okay). 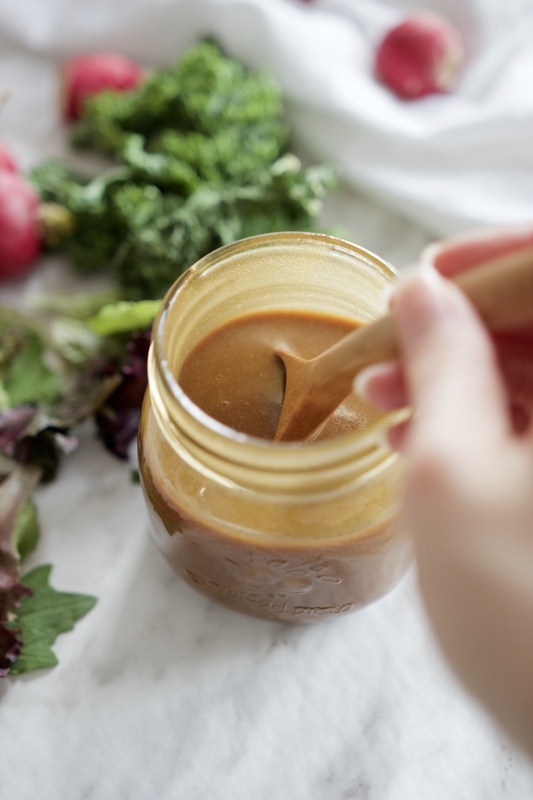 But honestly, if you’re new to whipping up your own homemade salad dressings and you don’t know where to start and you’re used to buying them ready-made in a bottle, I feel you. It can seem tedious or annoying when you can easily grab a bottle out of your cupboard. Or maybe you have tried making a dressing before but it was just gross. I’ve been there, too. But let me tell you: this 3-ingredient (yes!) 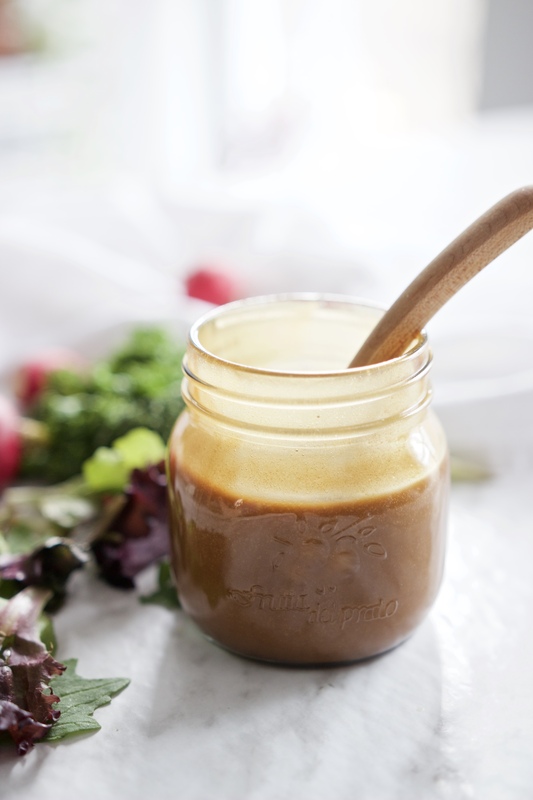 balsamic dijon vinaigrette will change your world. All you need for this recipe is balsamic vinegar, dijon mustard, and olive oil. 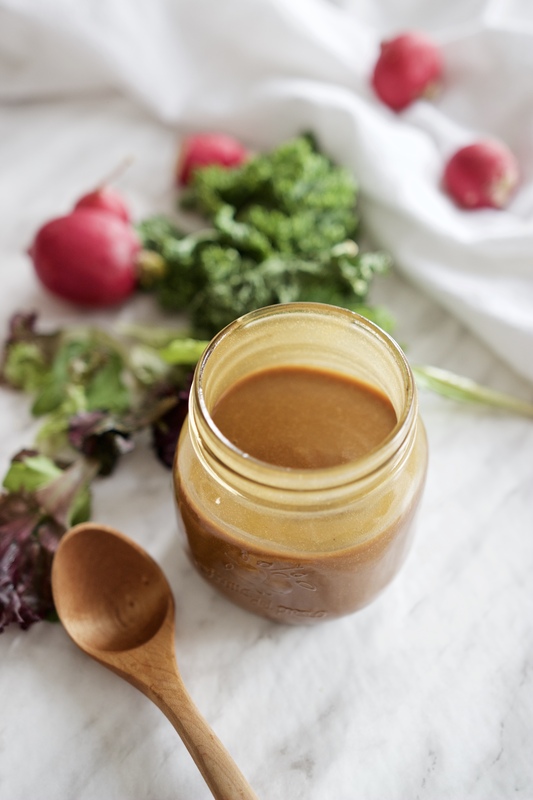 A classic balsamic vinaigrette made with 3 ingredients and in a minute or less! Perfect for leafy green salads or a marinade for red meat. Add vinegar and mustard to bowl and stir. GRADUALLY add olive oil to vinegar & dijon mixture while whisking vigorously. You can either slowly drizzle it while whisking simultaneously, or whisk and add small amounts intermittently. Adding the olive oil gradually will allow the oil + vinegar to emulsify smoothly to avoid separation. Use as a dressing or marinade right away, or store in airtight container in fridge for up to 4 weeks. Tag me on Instagram @meghanlivingstone if you give this recipe a try! And leave me a comment below if you whip this up, I’d love to hear how it turned out.